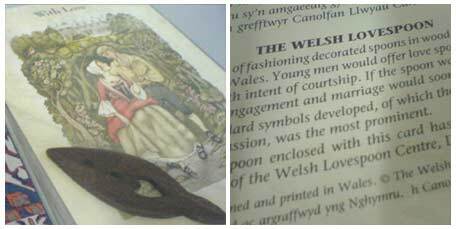 The tradition of fashioning decorated spoons in wood goes many centuries in Wales. Young men would offer love spoons as a token of affection with intent of courtship. If the spoon was accepted by the maid then engagement and marriage would soon follow.